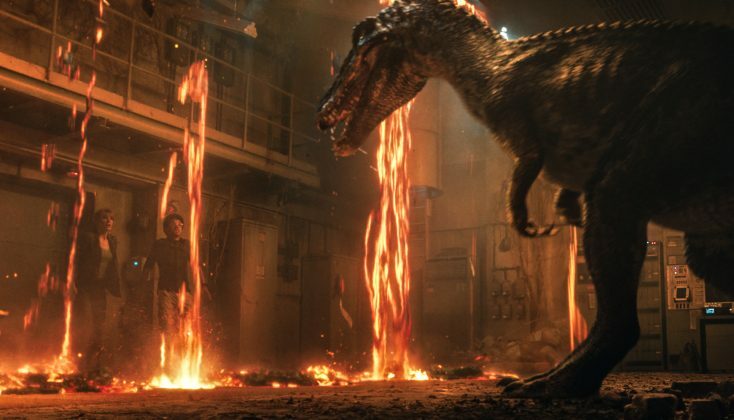 (l-r) Claire (Bryce Dallas Howard) and Franklin (Justice Smith) encounter the Baryonyx in JURASSIC WORLD: FALLEN KINGDOM. ©Universal Studios / Ambin Entertainment / Legendary Pictures. (L to R) Owen (Chris Pratt), Claire (Bryce Dallas Howard) and Maisie (Isabella Sermon) in JURASSIC WORLD: FALLEN KINGDOM. ©Universal Studios / Amblin Entertainment / Legendary Pictures. 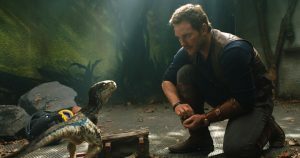 Owen (Chris Pratt) with a baby Velociraptor in JURASSIC WORLD: FALLEN KINGDOM. ©Universal Studios / Amblin Entertainment / Legendary Pictures.